They showcased a film from the Haverfordwest AFC project at the National Alzheimer’s Society Conference in Cardiff in March. The ‘More than a club’ programme is a joint venture between a Welsh-based social enterprise called Vi-Ability and the Football Association of Ireland. This initiative uses the power of football to address the social needs of disadvantaged people in the local community. They can be youngsters not in education, employment or training – or the elderly, disabled and socially isolated. 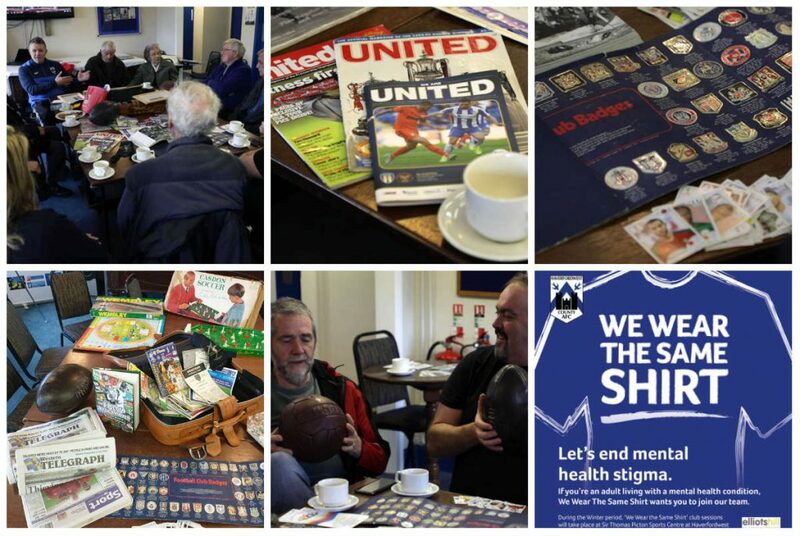 The football reminiscence programme has targeted the older generation who have an interest in football or any sport and to help people with dementia. The aim is to reignite and stir up past memories and experiences when talking about teams, players, matches, and experiences from the past, by working with images and sports memorabilia to stimulate memories. So far, we have seen ex-professional sportsmen, semi-professional and even olympic footballers come through our club house doors to tell their story about when they played the beautiful game back in the 1960’s. 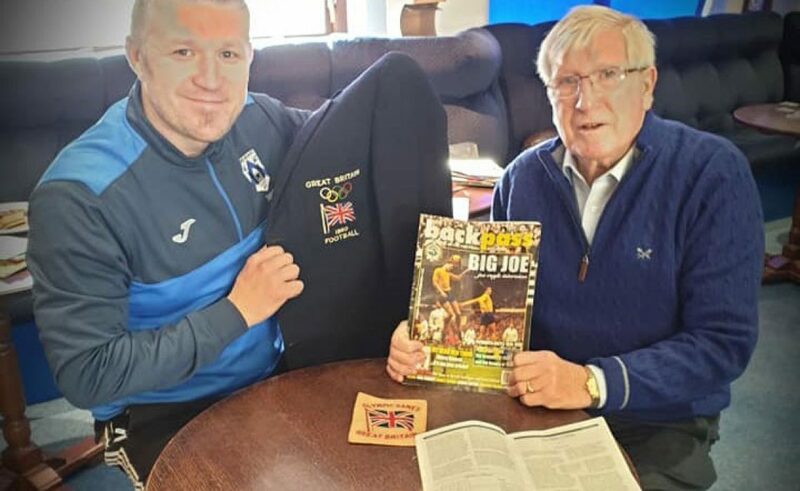 We have also had many different people open up with their sporting stories, especially people with dementia reminiscing about their experiences and sharing fond memories of sport over a cup of tea with their families. 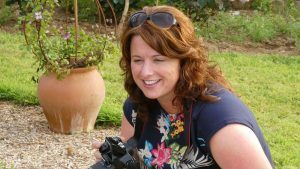 The programme has been running for eight weeks and it is supported by Pembrokeshire Association Volunteer’s (PAVS) and local charities organisations. 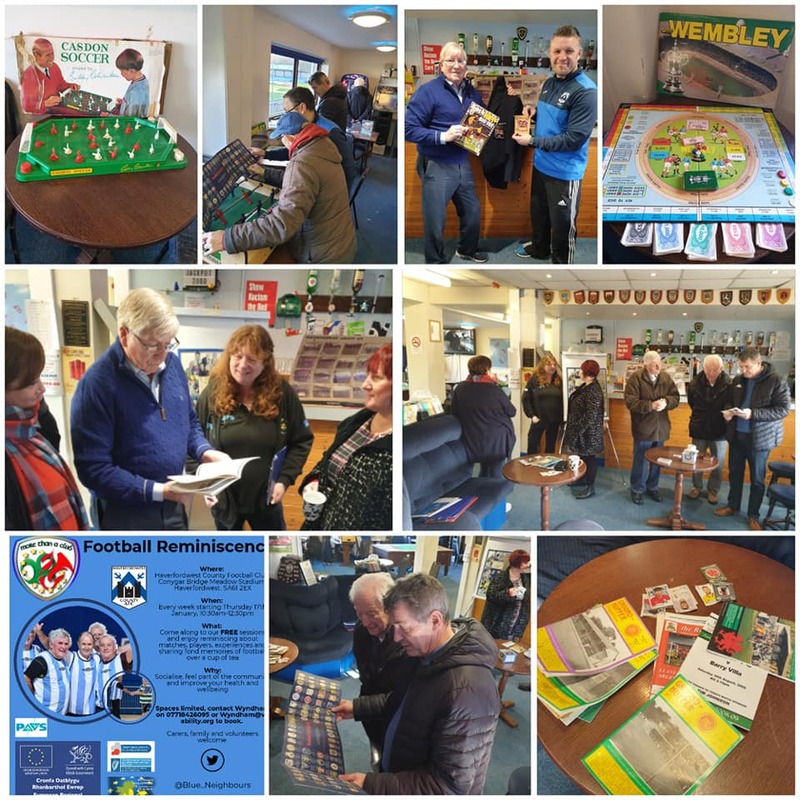 We have engaged over thirty elderly men in the programme and I have delivered three football reminiscence taster sessions in local elderly residential home centres/ groups. Session topics hosted so far include Sporting Legends (21st March) and Back in the Changing Rooms (18th April). On May 16th Thursday 10.30am – 12.30pm, the group will be gathering in the changing rooms at Haverfordwest AFC to share stories and memories about singing in the stands. All are welcome to join. Contact Wyndham Williams for more information, email wyndham@vi-ability.org or call 07718 426 095. Haverfordwest AFC are also supporting mental health via We Wear The Same Shirt campaign and active lifestyle via their Over 50s Walking Football Club. You can also keep up to date with activities on the Haverfordwest AFC Facebook page.